AFROPUNK Fest is my favorite event of the year that isn’t about fashion but is ALL about fashion! AND…AND…AND THEY BROUGHT D’ANGELO BACK YA’LL. For two glorious days in the summer for the past 10 years over 60,000 people gather in Commodore Barry Park in Brooklyn, NY to celebrate music, art and come-as-you-are culture. Grace Jones and attendees brought it at the Afropunk fancy dress ball. It is my new life goal to go to this party! More Looks you could never have imagined in your wildest dreams at Afropunk fancy dress ball. Who knew matching your socks to your turban could be so fabulous! My social media was poppin’ off with magical images from AFROPUNK Fest this past weekend!!! The awe-inspiring CHOPP a Jax native and INSPIRATION for this post and in genera. Essence Magazine managed to capture some of her fashion prowess in the image below . She is a multitalented musician and educator for The Future Project literally helping kids make their dreams come true as a Dream Director. She embodies the spirit of the fest and YES she dresses like this 24/7 ya’ll! Her style is in a league of it’s own, her hair is a glorious crown that she wears in ever eccentric ways. Join her over 2000 followers on instagram @robertahhood. Hairstyles breaking even the laws of gravity! THIS EFFORTLESS ANDROGYNOUS look has a special place in my QTPOC heart. Bae is giving Rosie the Riveter a run for her money in the camel colored overalls, they are ready to work it. This is how you rock a sports bra people. Floridians take note. I LOOOOOOVE! I love this rust colored skirt for fall paired with black crop top (boatneck, ¾” sleeve to boot, whaaaat?!?! YASSSS! ), this boi ain’t playin’ in that black brimmed hat and leather bag transforming a possible prairie look to a high end cocktail hour. This image embodies new beauty in America. We are all intersectional beings and there are no boundaries but the ones we place on ourselves. We are as beautiful, gorgeous, dapper, effortless as we feel. 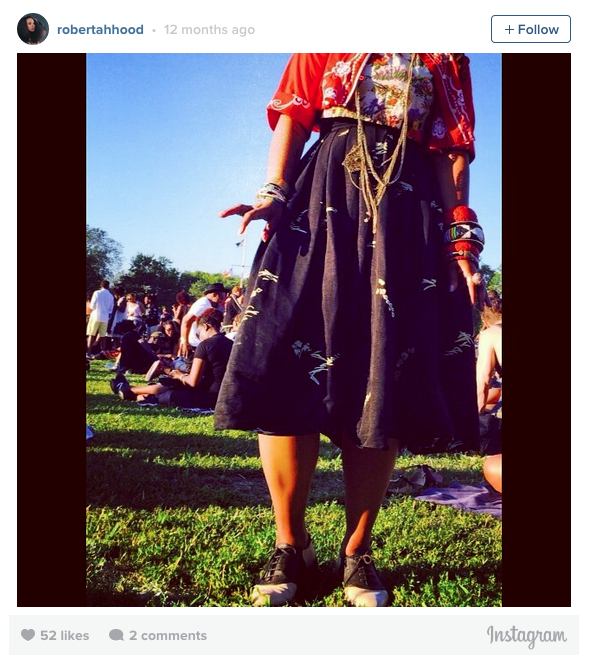 AFROPUNK lesson number #444 Ditch the pants, get a skirt, be a BOSS! It doesn’t hurt to look like Taye Diggs in the process. Now that you have Everything you need to feel inspired, go forth and get freaky with your style. If someone doesn’t give you the stank-eye at least once in the course of your day then you’re not doing it right! Lose the fear of the unknown and get to know your true style sense. I promise you will have a lot more fun getting dressed! Share your pictures with us of your most unique concoction @theinventoryroom. I can’t wait to see what our readers come up with. Challenge your friends, do a wardrobe swap and if you just can’t figure it out call in the big guns! GET A STYLIST. Lucky for you, Fitz is available by appointment to help you break through your style rut! Check out our contacts page to get in touch! 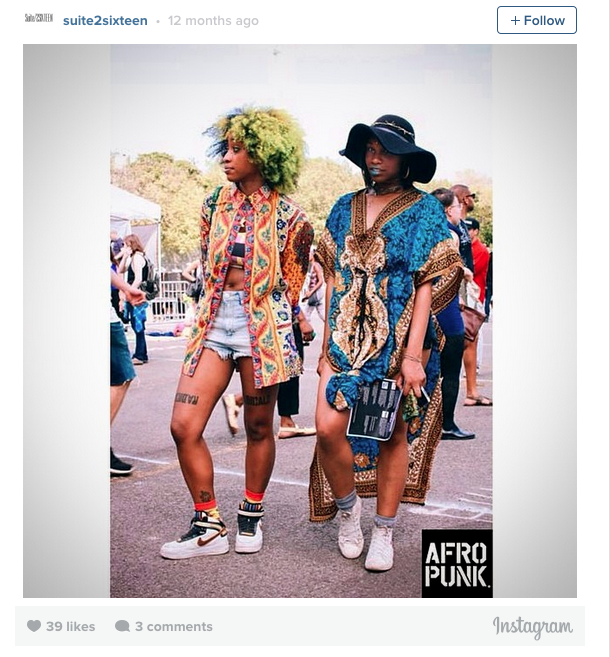 Want to read more about AFROPUNK fest and fashion read my favorite from PAPER mag. ....Or any of the other sources I pulled inspiration for this article from. Take your pick!